EClinicalWorks says at its annual user conference in Grapevine, TX that it had Q3 revenue of $130 million. The company notes that its EHR is the second-most widely used in the US. 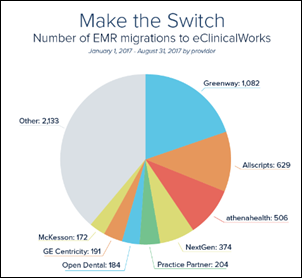 ECW’s migration statistics for 2017 to date show that the EHRs it most often replaces are those of Greenway (by far), Allscripts, and Athenahealth. EClinicalWorks also announces December 2017 availability of an interoperability development platform that allows developers to connect to ECW’s API-enabled EHR. 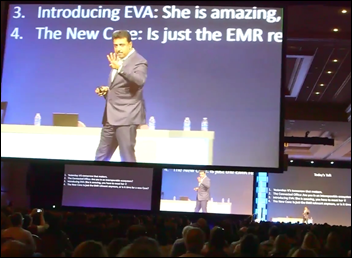 Also announced: a voice-powered Virtual Assistant called Eva, Healow Virtual Room for telemedicine, and v11 of the company’s core product. 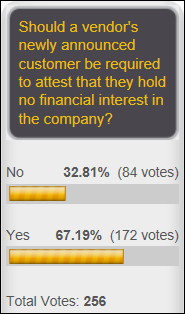 Two-thirds of poll respondents think customers that are featured in a vendor’s product sale announcement should be required to indicate whether they hold a financial interest in that vendor. 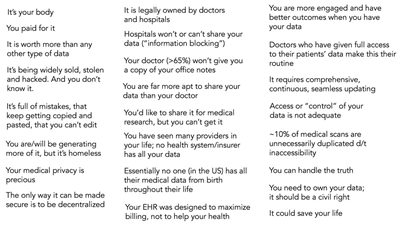 The “required” part of that assertion is the problem, of course, since the obvious remaining issue is, “Required by whom?” Still, the idea that a provider’s purchase of a product wasn’t made using purely objective criteria is troubling to some since the announcement may influence others, especially in health IT-land where “I’ll have what he’s having” purchasing behavior is not uncommon. New poll to your right or here: who among the rumored candidates would you like to see appointed HHS secretary? I can’t say I’m enthused about any of them except at least they aren’t Tom Price. Welcome to new HIStalk Gold Sponsor CenTrak. 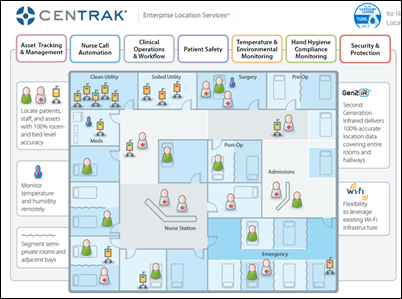 The Newtown, PA-based company’s real-time location system has been installed in 850 healthcare facilities, with its Clinical Grade-Visibility providing certainty-based location accuracy; rapid location and condition updates; easy installation without requiring patient rooms to be closed; and an open location platform that can be integrated with EHRs, nurse call, and other systems. Its app is available for both iOS and Android devices. CenTrak is KLAS’s 2017 Category Leader for Real-Time Location Systems, receiving the highest performance score among ranked RTLS vendors. The company offers a free Enterprise Location Services Handbook and an RTLS RFP template. Thanks to CenTrak for supporting HIStalk. I found this video describing how CenTrak is used at Our Lady of Lourdes Regional Medical Center (LA). Thanks to the following companies that have recently supported HIStalk. Click a logo for more information. Listening: the amazing alt-acoustic Jamestown Story, which I’ve mentioned before since it’s a project of independent singer-songwriter Dane Schmidt, whose dad Mark is a consultant with Navin, Haffty & Associates. Mark reports that his other son Jordan is one of the top songwriters in country music and has three songs on the charts right now. I’m also listening to former Porcupine Tree singer and guitarist Steven Wilson, justifiably recommended by a reader who also suggests Wilson’s older work with the tragically underappreciated Porcupine Tree as a “modern Pink Floyd.” I’m tracking Porcupine Tree while I’m writing HIStalk today and it is stunningly perfect, even in live recordings. Video from Wilson’s live 2013 performance gives me prog chills, to the point that I just now bought tickets for his US tour that starts in April, where I’ll be silently thanking the reader who showed great insight in recommending Wilson’s music. Theranos announces that it will close all of its clinical labs and lay off half of its employees in pivoting from running labs to commercializing its MiniLab testing system. 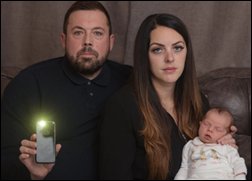 ICU monitoring technology vendor Sotera Wireless files for Chapter 11 bankruptcy. Xerox, preparing to split itself into two publicly traded companies, chooses Conduent as the name of the business process services segment. HHS publishes the final MACRA rule. Allscripts offers MyWay EHR customers a free upgrade to Professional as it begins the product’s retirement. Allscripts files a protest against New York City’s hospital system for choosing Epic. The developer of Nashville Medical Mart shuts down the project for lack of leasing interest. Misys Healthcare re-forms under new private equity owner Vista Equity Partners and returns to its old name of Sunquest Information Systems, with Richard Atkin as president and CEO. Microsoft’s healthcare head predicts that the company’s HealthVault personal health record and Azyxxi data aggregation platform will generate a billion dollars in annual revenue. Word leaks out that Epic is developing its own PHR called Lucy. Sage fires its North American executives as the company’s US performance continues to lag. France-based IT consulting firm Atos acquires three US EHR-focused consulting companies. The US Supreme Court hears arguments on the legality of Epic’s requirement that employees agree to arbitration rather than lawsuits to settle employment issues. Several names are floated as possible replacements for fired HHS Secretary Tom Price. A Wisconsin court reduces the $940 million awarded to Epic in its intellectual project lawsuit against Tata Consultancy to $420 million. Canada’s Alberta Health chooses Epic. 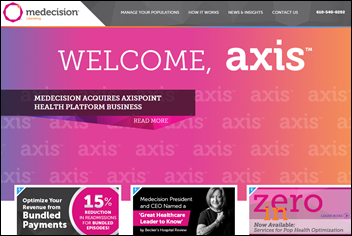 Medecision acquires 58 client contracts of AxisPoint Health’s retired CCMS and Vital software platforms, making it the largest independent provider of care management applications in the country. AxisPoint Health has retained its services business. Palmetto Health (SC) will switch from McKesson Star to Cerner revenue cycle management in October 2018. Cape Fear Valley Health System (NC) will replace Cerner revenue cycle management with that of an undecided company. Health Catalyst promotes Patrick Nelli to CFO. He replaces Dan Strong who, unlike his replacement, has experience taking companies public. PatientKeeper announces Charge-Note Reconciliation, which automates the reconciliation of clinical notes and inpatient charges to find the 15-20 percent of typically unsubmitted professional charges. It’s available immediately in the company’s charge capture solution. NPR covers the three-fourths of Puerto Rico hospitals that are still running on emergency power and no air conditioning. 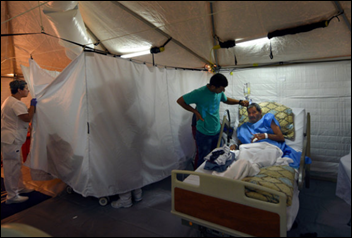 An Arecibo hospital’s cardiac unit registered 112 degrees, requiring patients to be moved by HHS’s Disaster Medical Assistance Team to air-conditioned tents. 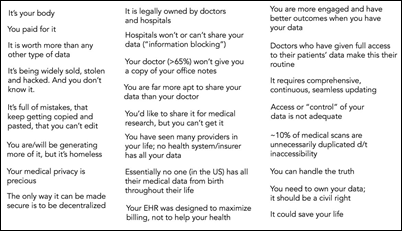 Eric Topol, MD posted this about patients owning their data. A terminal cancer patient expresses frustration with feel-good healthcare marketing that spreads false hope of miraculous recoveries with endless pink ribbons and catchwords like “thrive” and “smile out,” with the implication that people like herself who are dying maybe just aren’t being positive enough. Experts say that hospitals market themselves against their competitors by tugging at emotions, while drug companies are prohibited by FDA from running “this is where miracles happen” type messages that aren’t backed by rigorous studies or outcomes results. 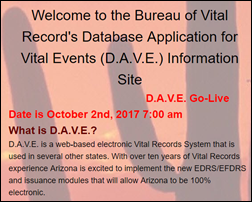 Arizona funeral homes are left unable to bury their customers due to problems with the state’s new death certificate processing system that went live October 2. Bodies can’t be buried or cremated until doctors have acknowledged the cause of death and many doctors didn’t sign up for the new system, requiring some funeral homes to go back to paper. 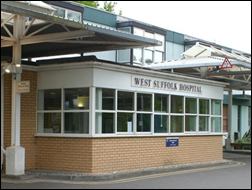 In England, West Suffolk Hospital stops using discharge letters after doctors complain that they contain errors in medication doses, a problem the hospital blames on a Cerner software bug. One doctor says a patient collapsed after following the incorrect dose listed in the letter. Bizarre in mass hysteria, sad current events sort of way, especially if you thought you were the only one sick of the fall “pumpkin everywhere” craze. A Baltimore high school is evacuated, dozens of students are triaged by Hazmat teams, and five students and adults are hospitalized for breathing problems after reports of a strange smell. Firefighters discovered the cause in a classroom – someone had plugged in a pumpkin spice air freshener. LifeImage and National Decision Support Co., Experian Health, the SSI Group, Summit Healthcare, Surescripts, and ZirMed will exhibit at the Cerner Health Conference October 9-12 in Kansas City, MO. LogicStream Health will host a reception during the Cerner Health Conference October 10 from 5:30-7:30 at Cleaver & Cork in Kansas City, MO. Meditech releases a video on its Sepsis Management Toolkit featuring Capital Region Medical Center Clinical Analyst Marlene Stiefermann, RN. Navicure will exhibit at the US Women’s Health Alliance October 12-14 in San Antonio. Clinical Computer Systems, developer of the Obix Perinatal Data System, will exhibit at the National Association of Neonatal Nurses October 11-13 in Providence, RI. Harris Healthcare and Versus Technology will exhibit at the ANCC Magnet Conference October 11-13 in Houston. Qpid Health will host “Artificial Intelligence (and More) in Healthcare” at its offices in Boston October 11. Consulting Magazine includes Huron in the top 10 of its 2017 list of best firms to work for. ZeOmega will exhibit at the California Association of Health Plans Annual Conference October 9-11 in Huntington Beach. 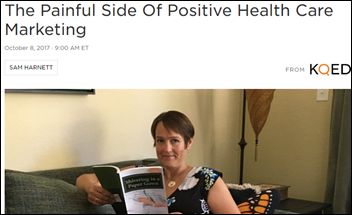 Thank you for highlighting the NPR story on Lori Wallace and her frustration with feel-good cancer marketing. We should fully support and empathize with our friends and family dealing with metastatic cancer rather than trivializing their experience. I think that “Save the Ta-Tas – laughter heals” messaging is a slap in the face to women who are trying to stay strong but are losing the battle against cancer. I can’t imagine what she is going through and in no way would I blame her for expressing her frustration, but there is another perspective to be considered here. There are many instances where the will or positive outlook/fight of the patient makes a difference in the outcome. Isn’t there something to be said about encouraging a positive attitude of the patients at the outset? This might save someone’s life though I am under no illusion that the hospitals are doing this to gain customers. Maybe there is another way to phrase it in the ads, though I’m not sure how you can do both. You know the market is soft, has plateaued, when vendors start bashing one another with phony statistics. Quite surprised Tim that you led with such a story without some counter by the other EHR vendors as to how many clients they won from eCW. I don’t think you’ll find any available news items for this semi-holiday weekend are more newsworthy (this was the tallest jockey in the race). It’s also not likely that I could have roused competing EHR vendor PR people away from their weekends to get an official rebuttal comment before Sunday afternoon when I post the Monday update. 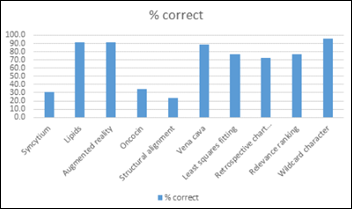 Bottom line, it’s not a rigorous market analysis, just a note of what happened at ECW’s user group meeting, which is of somewhat broad interest following the company’s huge DOJ settlement and its very public efforts to bounce back from that event as a leading EHR player. Any vendor is welcome to provide their own stats of migrations (“phony” as you may assume them to be) in the other direction. I’m surprised that anybody would view eCW’s chart as a positive. The chart is labeled as “by provider” – and if you sum up the numbers, you’re looking at 5,475 gross provider adds in 8 months. Which annualizes to 8,212 gross adds per year. They claim 130,000+ “Physicians and NPs” using eCW (and they’ve quoted much higher “provider” numbers in the past). So if they have 10% annual attrition, you’re at a net loss of 4,788 providers this year. That doesn’t feel like great news. The other way to interpret “provider” is that they mean “vendor” which implies that they did 5,475 go-lives in 8 months (again, annualized to 8,212 for the year). Given that there are about 150,000 provider groups in the US, it seems implausible under current market conditions that eCW would “flip” more than 5% of the market (that would represent churn of ~50% of their client base, which is just impossible). Real question is: How can anyone trust eCW stats when they spent years scamming providers and ONC about MU certification?? ?